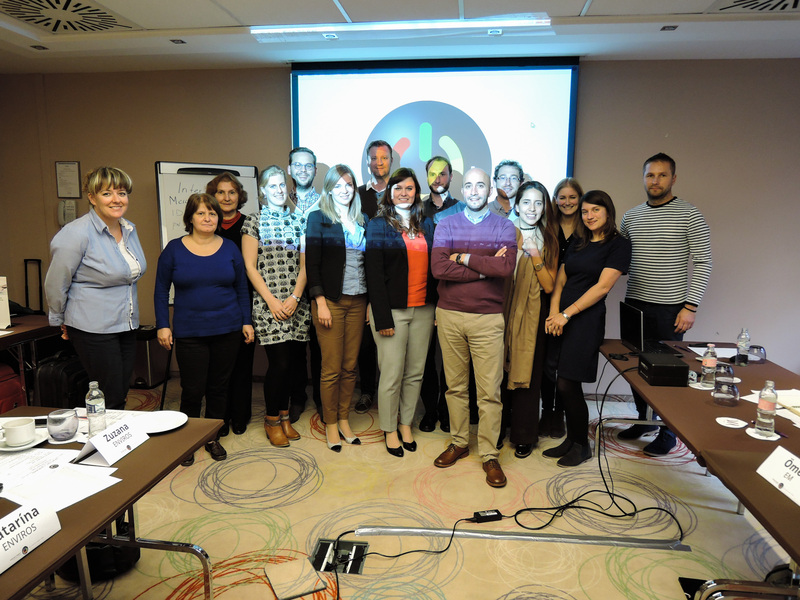 The START2ACT consortium held its 1st Progress Meeting in Budapest, Hungary on 26-27 October. As the project will soon launch its support activities to young SMEs and startups across Europe, this meeting has been a strategic milestone in the project. Day 1 focused on three distinct working sessions, starting the meeting with a briefing on the upcoming Energy Efficiency Business Breakfasts guided by our partner Carbon Trust. The session continued with the second topic led by Geonardo, which provided a summary of the dissemination and exploitation activities and achievements accomplished so far along the project. Lastly, the day closed with the updates on the Baseline Assessment and Monitoring led by CentERdata, where all partners shared their experiences on reaching out SMEs and startups through the surveys, creating an interesting discussion on how to reach the target groups better. Day 2 picked up on a similar note as the closing session of Day 1, by boosting the conversation on the Stakeholder Engagement where partners gave their input on their experience and recommendations on how to increase the project’s outreach. As a smooth and very much in line change of topic, partners started the second session by discussing the Interactive Online Platform which was announced to be launched in March 2017 by Geonardo. Partners also talked about making the Energy saving competition interactive and fun to participate in! The rest of the evening was focused on presenting the objectives of the On-site Capacity Building for young SMEs, on shaping and giving structure by the hand of Startups.be to the energy efficient mentoring for startups, and lastly as a closing session, on hearing from Geonardo the overall progress monitoring, review of risks, financial issues and conclusions of the meeting. A lot of topics where touched along these two days and we can tell you that some of our practical activities are being launched soon. We encourage you to keep updated by visiting our homepage and by following our social media where we will be giving you more information on this. The first event has been already published on the START2ACT UK version, so don’t miss it and go check it out.